A nice a rough pipe that has its own built in pipe screen for easy handling and cleaning. The metal screw pipe is available in a plain black and silver color. Because of Its small size it is easier to use and to take along with you. 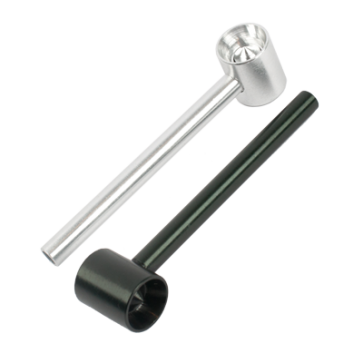 This Metal Screw Pipe a simple smoking equipment that will offer you a smooth hit! Its plain design comes in black and silver color.